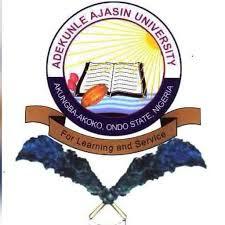 Applications are invited from suitably qualified candidates for admission into the Adekunle Ajasin University, Akungba-Akoko (AAUA) postgraduate programme in Theology in Department of Religion and African Culture for the 2017/2018 academic session. ii. An HND Passed at a minimum of Upper Credit from recognized Polytechnics. In addition to the above, the applicants must possess credit in five relevant subjects, including English Language passed at no more than two sittings at SSCE/NECO/GCE O/L or equivalent. Candidates are required to pay through E-transact at the following Banks: Access, Skye, Wema, First, Zenith or Keystone and Heritage etc, for a sum of Ten Thousand Naira (N10, 000.00) and log on to our website at www.aaua.edu.ng to complete the application form. CLOSING DATE: This application shall close after FOUR WEEKS from the date of this publication.